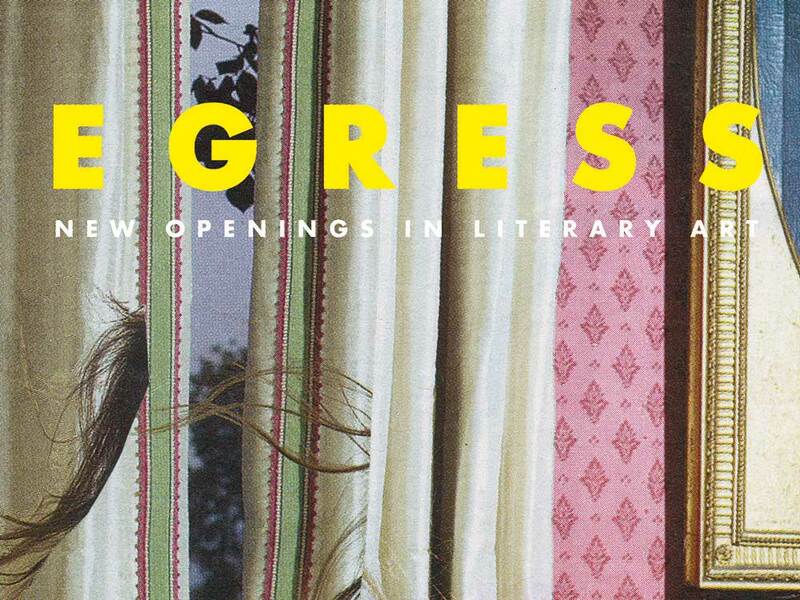 Egress is an ambitious new literary journal that arrives with the explicit aim of capturing attention. The title is a noun, a means of exit from an enclosed space, and is accompanied by the subtitle New Openings in Literary Art. So: an egress from what sort of confinement? and openings onto what new arena? Essentially, it seems, the journal amounts to an escape from literature made with received, conventional ways of using language, and an opening onto literature whose more particular use of language requires concentration, demands a reader’s unwavering focus. In their brief preface to the first issue of Egress, the editors claim that we live in “a time of increasing distraction”, a time in which “conventional fiction can no longer detain our attention”, and that, as a result, “the future belongs to those strange outliers, those writers who bend and warp the medium into bold new shapes.” In the journal’s final pages, in an essay entitled ‘Attention and the Future of Narrative’, Veronica Scott Esposito elaborates on this notion: cataloguing fiction that “departs… from the conventions of storytelling” and “relentlessly resists systematization”, she celebrates literature that cannot be appreciated without “sustained focus”, “active attention”. Overall, then, Egress emerges from an aspiration to publish work of such linguistic and/or narrative novelty that the reader’s attention is warranted, held, challenged, and rewarded. How well has this aspiration been realised, now that the ink has dried on the page? Although it’s a new publication, Egress is a journal of some pedigree. The editors are Andrew Latimer, co-founder of Little Island Press, and David Winters, a longtime literary critic, author of Infinite Fictions (2014), and co-editor in chief at 3:AM Magazine. Many of the entries appearing in Egress #1 are in some way connected to the editors’ backgrounds. Recently, for instance, Little Island published Gordon Lish’s White Plains (2017) and David Hayden’s Darker With the Lights On (2017), and Lish and Hayden have each contributed two new stories to the journal. Winters has been a vocal champion of Lish for many years, and has been calling attention to the work of Lish’s disciples as well — writers like Sam Lipsyte, Diane Williams, and Christine Schutt, all of whom have been taught or edited by Lish and have also contributed to Egress… Then, too, Williams and Schutt are the editorial masterminds behind the annual journal NOON, which has published the early work of other contributors to Egress, most notably Kathryn Scanlan and Greg Mulcahy. So there’s a sort of family tree being pieced together in this first issue of the journal, with Lish as the domineering patriarch. If you had a mind to do so, you could map out a dense web of connections between the Little Island catalogue, the so-called “School of Lish”, the list of contributors to NOON, the contents of Infinite Fictions, and the journal at hand. Ultimately, though, the question is: are the writers published in Egress able to galvanise attention in the way the journal’s editors hope for? The answer is yes, for the most part, but not for the reasons you might expect if the big names are the first ones to catch your eye. Lish’s two stories are both far beneath his usual standard. The first is basically an overwrought anecdote, twice the length it warrants. The second is an ill-advised, sometimes embarrassing response to the unfavourable review of White Plains that appeared last year in the Times Literary Supplement; it takes the form of a courtroom transcript in which the reviewer is put on trial for her lazy reading of the book. Schutt offers something more substantial, more impressive, but it’s not in any way new: it’s a reprint of her story ‘A Happy Rural Seat of Various View: Lucinda’s Garden’, which also appears in her latest collection of fiction, Pure Hollywood. And Williams’ contribution is unfortunately the inverse of Lish’s: a damp squib, an anecdote underdeveloped, which reads like an aside or an off-cut from her acclaimed collection Fine, Fine, Fine, Fine, Fine (2016). On the whole, then, the established writers in Egress leave it to the newcomers to take up the slack. Thankfully, the newcomers are more than able to meet the challenge. For readers in the UK and Ireland, the most familiar names will probably be David Hayden and Eley Williams, both of whom have contributed stories of the same calibre as the outstanding books they published last year. Hayden’s two stories are faintly surreal, tonally odd, compelling for the way their surface strangeness exists in tension with the reservedness, the mannered style, of Hayden’s prose. Williams’ story is blatantly and quintessentially a story by Eley Williams: it opens with a juxtaposition of images and proceeds through ornate wordplay to a shocking, silly conclusion. These two contributors alone outshine the three masters mentioned above. Goerske had them meet in a meeting room though no one understood how Goerske had risen to a place that allowed Goerske to call meetings. Goerske started as though it were a movie where company assembled recalled and then flashed back to the life of the dead one. Really it is a story of love, Sister in Praise said. Goerske gave her the look Goerske gave non-persons. I suppose I took to mother’s unders when the end became too sure. I felt myself foraging, is what it was. I’d walk through her room, run my fingers through necklaces strung over vanity mirrors. I picked up and moved when her coughing got to me. Growing up I’d puttered after my mother fawning. I wrote my old man off early — he walked about yawping, worked cleaning classrooms, emptying garbages at the university. Easy would’ve been he’d died first. This was not his way, so close to mom I’d stuck. You’ll know within just a few lines whether or not the Lishian style is to your tastes, although, to their credit, Mulcahy and Maierhofer take it in different directions: one retains the impersonal affectation while the other finds unexpected poignancy in this sort of prose. 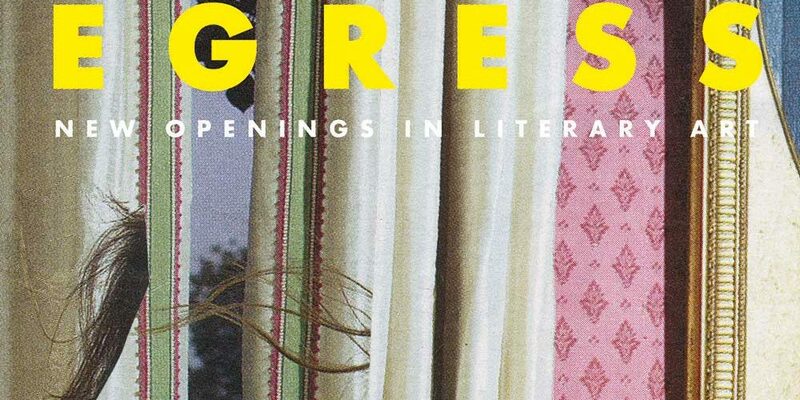 And then, the icing on the cake: in addition to stories, Egress contains a selection of non-fiction that explicitly addresses the notion of attention-grabbing literature. As above, the début issue concludes with Veronica Scott Esposito’s ‘Attention and the Future of Narrative’ — a welcome attempt to define a nebulous type of literature that remains capable of compelling attention in an age of omnipresent distraction — but the real treat here is the journal’s three-part coverage of the forgotten American novelist Hob Broun. Long revered by David Winters, including in the pages of Infinite Fictions, Broun published two novels and a collection of short stories between 1982 and 1987, before he died at the young age of thirty-seven. He led something of a storied life: following bungled surgery to remove a tumour on his spine, he spent his last seven years as essentially a quadriplegic and produced his final books by blowing air through a tube in order to type the text. He, too, was edited by Gordon Lish, and another of Lish’s better-known students, Sam Lipsyte, has contributed to Egress with a paean to the aesthetic innovations of Broun’s work. It’s a livewire of an essay, a masterclass in compressed but perceptive literary criticism. Lipsyte’s words are accompanied by full-colour extracts from Broun’s visually playful scrapbook-style journals, and these are preceded by a personal reminiscence of Broun — tender, respectful, taking pains to avoid sensationalising his later years — written by Broun’s friend Kevin McMahon. In combination, these three contributions do an impeccable job of encouraging readers to track down Broun’s books, no matter what effort may be required, and, better still, they are billed as the first entries in “a semi-regular series on neglected writers”, promising more to look forward to in future issues of Egress. “As ever”, Esposito writes in the closing words of the journal, “we must have writers capable of creating varieties of experience whose singularity compels our attention, and readers who are worthy of them.” The contents of this first issue of Egress suggests that those writers are in no short supply; even the journal’s weaker entries are intriguing enough, stylistically, to deserve careful consideration, and the strongest entries are masterful in the way they compel attention through the delicate dance of raising, rewarding, and reversing one’s expectations of what language can do. Whether there are readers enough to sustain this level and quality of output remains to be seen. 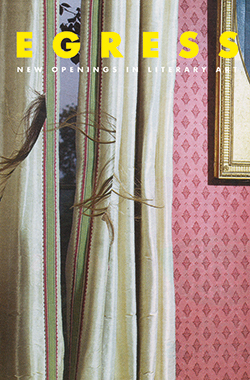 Perhaps it depends on whether such “new openings” in literary art are able to lead us in new directions; whether this egress from literary conventions allows for an ingress into unforeseen, uncharted literary spaces. In any event, in these pages, the door has been opened to let in fresh light. It’s well worth taking a look at what’s waiting on the other side.